1.1 Can’t take a photo because your iPhone’s storage is full? Have you tried using an external USB stick to offload your old photos so you can take new ones? 1.1.1 Using SanDisk’s iXpand, iPhones can now release unnecessary photos and files off the device for new uses. 1.2.1 Automatically syncs photos and videos from camera roll when connected. 1.2.2 Transfer photos and videos from the camera roll to the drive to free up iPhone/iPad memory. 1.2.3 Watch popular-format movies directly from the drive. 1.2.4 Encrypts files across iPhone, iPad, and computers for secure transfer. 1.4.1 When you’ve connected the drive to your iPhone or iPad, you’ll be prompted to install the companion iXpand Sync app. 1.5.1 You can back up your camera roll to the iXpand Flash Drive by setting up auto-sync or manually syncing as needed. 1.6.1 Set-up once and transfer your camera roll to the drive automatically each time the drive is connected. 1.6.3 Connect the iXpand Flash Drive to the iPhone/iPad. 1.6.4 On the app, go to Menu Camera Sync. 1.6.5 Turn on the “Automatic Sync” option on the camera sync screen. 1.6.6 Syncing may take longer than normal the 1st time. Once set up, only newly added files will be copied to the drive. 1.7.1 Sync your camera roll with the drive as needed using manual sync. 1.7.3 Connect the iXpand Flash Drive to your iPhone/iPad. 1.7.4 Go to Menu Camera Sync. 1.7.5 To change the destination of the synced files on the drive, select the “Sync Destination” as a folder on the drive. 1.7.8 as the Sync Destination. 1.7.9 Syncing may take longer than normal the 1st time. Once set up, only newly added files will be copied to the drive. 1.8.1 Use your iXpand Flash Drive and iXpand sync app to transfer and manage files between your iPhone, iPad, PC and Mac computer. 1.8.3 Connect the iXpand Flash Drive to your iPhone/iPad. 1.8.4 Select the add file button “+”. 1.8.5 When prompted to “select files”, choose the files you want to transfer from iPhone/iPad to the drive. 1.8.6 “Select Destination” to specify where to store the files on your drive. 1.8.7 You can choose “New Folder” option to create a new folder as the destination of the file transfer on the drive. 1.8.9 Connect the iXpand Flash Drive to your iPhone/iPad. 1.8.10 Press “Select” button to choose the files from the drive. 1.8.11 Press at the bottom of the screen. 1.8.12 Choose “Save to My Downloads” or, if you’re copying iOS-supported photos and videos only, choose “Save Images/Videos” to save them to the Camera Roll. 1.8.13 The selected files will be saved to your phone. 1.8.14 Files downloaded to My Downloads are accessible using the iXpand sync app even when drive is not connected. Can’t take a photo because your iPhone’s storage is full? Have you tried using an external USB stick to offload your old photos so you can take new ones? Using SanDisk’s iXpand, iPhones can now release unnecessary photos and files off the device for new uses. Automatically syncs photos and videos from camera roll when connected. Transfer photos and videos from the camera roll to the drive to free up iPhone/iPad memory. Watch popular-format movies directly from the drive. Encrypts files across iPhone, iPad, and computers for secure transfer. When you’ve connected the drive to your iPhone or iPad, you’ll be prompted to install the companion iXpand Sync app. You can back up your camera roll to the iXpand Flash Drive by setting up auto-sync or manually syncing as needed. Set-up once and transfer your camera roll to the drive automatically each time the drive is connected. Connect the iXpand Flash Drive to the iPhone/iPad. On the app, go to Menu Camera Sync. Turn on the “Automatic Sync” option on the camera sync screen. Syncing may take longer than normal the 1st time. Once set up, only newly added files will be copied to the drive. Sync your camera roll with the drive as needed using manual sync. 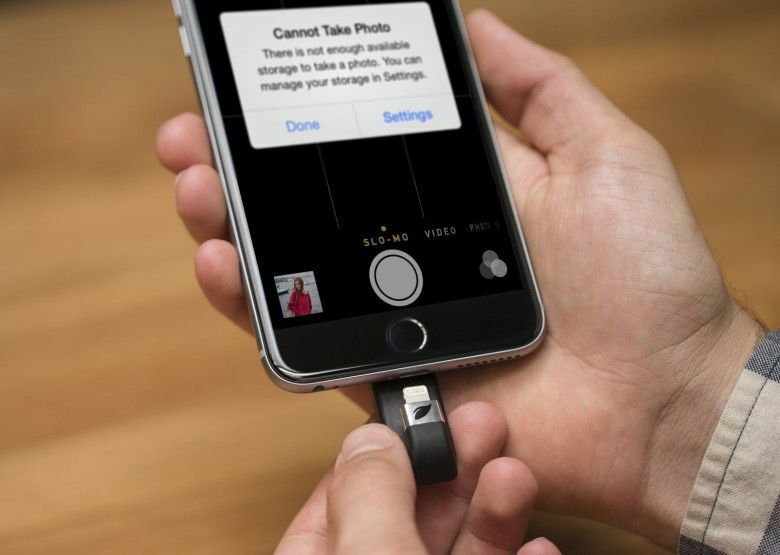 Connect the iXpand Flash Drive to your iPhone/iPad. Go to Menu Camera Sync. To change the destination of the synced files on the drive, select the “Sync Destination” as a folder on the drive. Use your iXpand Flash Drive and iXpand sync app to transfer and manage files between your iPhone, iPad, PC and Mac computer. Select the add file button “+”. When prompted to “select files”, choose the files you want to transfer from iPhone/iPad to the drive. “Select Destination” to specify where to store the files on your drive. You can choose “New Folder” option to create a new folder as the destination of the file transfer on the drive. Press “Select” button to choose the files from the drive. Press at the bottom of the screen. Choose “Save to My Downloads” or, if you’re copying iOS-supported photos and videos only, choose “Save Images/Videos” to save them to the Camera Roll. The selected files will be saved to your phone. Files downloaded to My Downloads are accessible using the iXpand sync app even when drive is not connected.